…and decided that it would be an excellent article to help people who participate in Ramadan, as well as any other bodybuilder who could use periods of fasting to their advantage. Ok, so I needed to do a little research here to see what the translation of “fasting” and “Ramadan” really meant here, and what the boundaries were involved with this. Ramadan (/ˌræməˈdɑːn/; Arabic: رمضان‎ Ramaḍān, IPA: [rɑmɑˈdˤɑːn]; also transliterated Ramazan, Ramzan, Ramadhan, or Ramathan) is the ninth month of the Islamic calendar, and is observed by Muslims worldwide as a month of fasting to commemorate the first revelation of the Quran to Muhammad according to Islamic belief. This annual observance is regarded as one of the Five Pillars of Islam. The month lasts 29–30 days based on the visual sightings of the crescent moon, according to numerous biographical accounts compiled in the hadiths. While fasting from dawn until sunset, Muslims refrain from consuming food, drinking liquids, smoking, and engaging in sexual relations with one's spouse. Muslims are also instructed to refrain from sinful behavior that may negate the reward of fasting, such as false speech (insulting, backbiting, cursing, lying, etc.) and fighting. Food and drink is served daily, before dawn and after sunset. Spiritual rewards (thawab) for fasting are also believed to be multiplied within the month of Ramadan. Fasting for Muslims during Ramadan typically includes the increased offering of salat (prayers) and recitation of the Quran. The best approach that I would take during Ramadan would be to increase calories leading up to this month of fasting. Once the month started I would do 2 meals per day, one before sunrise and one after sunset. These meals would consist of around 1,000 calories each for most individuals. This comes out to roughly 50-60 grams of protein, 60 grams of carbs, and 25-30 grams of fat, putting you right at 1,000 calories here. For the second meal I would do a large portion of meat. I would incorporate an 8-10 oz portion of chicken, fish, or beef in meal #2, then I would include a heavier carb such as 12 oz of potatoes or 2 cups of cooked rice. Use an ounces to grams conversion calculation chart if needed, here in the States we use ounces. You are looking at roughly 600 calories there so far. The additional 400 calories would come from a fat source such as 4 tablespoons of natural peanut butter or 2 1/2 servings of almonds or cashews. I do not count veggies as normal carbs since they are more of a fibrous carb and filler, but veggies alongside either meal #1 or #2 would be unlimited, as long as I was hitting the food amounts listed here first. You are looking at roughly 60-70 grams of protein in this meal, around 60 grams of carbs, and about 30 grams of fat. These are roundabout numbers here. Now, from what I understand there are certain guidelines on eating beef. Some Muslims can eat beef as long as it was cut fresh and the cows throat was cut for slaughter, while other forms of slaughter are not allowed, and some Muslims may avoid beef altogether. That is fine whatever your practice is, chicken or fish would be fine as well. One thing I'd be certain to do during Ramadan would be to include 2 servings of BCAA's with both. 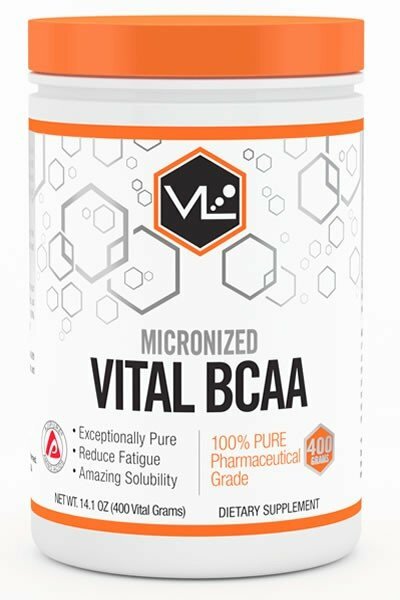 John Doe recommends Vital BCAA powder by Vital Labs. The BCAA's will help you retain muscle mass during fasting. Although you are only consuming 2 meals per day here, you will only lose bodyfat if you do this right. The protein intake along with the branched chain amino acids is still enough to maintain good muscle mass here, and carb intake is still enough to keep a pump and be protein sparing here, since carbs are protein sparing (meaning carb intake assists protein in going further on less grams of protein). It has actually never been scientifically proven that the body utilizes more than .6-.8 grams per lb of bodyweight and suggested protein intake has been totally exaggerated over the bulk of the past 20 years, even suggested intake for bodybuilders. Onto the workouts during this phase of fasting; I would continue to train hard, but I'd lower my volume. There is simply no reason to train more than 3 days per week when it's harder to get excessive caloric intake because of the fasting. This will also help with recovery from workouts and allow you to keep more strength. I'd keep my gym time to under an hour. As for cardio, I wouldn't think it'd be absolutely necessary during Ramadan. The fasting and workouts should be enough to start dropping a good amount of bodyfat and what we don't want to do is promote too much hunger and make the process harder than it needs to be. At least that is my take on it. This is an approach that could be beneficial to anybody for a 30 day period, not just Muslim people who practice Ramadan. The advantage of doing this for a period of 30 days is you are creating more insulin sensitivity and when you get back to a regular eating regimen you are going to be in ANABOLIC OVERDRIVE!! This means that your body is going to throw on massive amounts of size and strength in a very quick time frame. We are talking about size and strength gains that a steroid cycle would yield, gains of 10-20 quality pounds within the following 4-6 wks would not be unrealistic following Ramadan, if done properly. Sometimes eating every few hours and just dumping calories into our bodies all the time can make us stagnant, and it can stall progress. There comes a point with bodybuilding that leads to having to take 2 steps backwards to take a giant leap forward!! I would use this period of fasting to set myself up for serious size and strength increases!! Also, look at the level of discipline that this requires. The discipline alone would be a good enough reason for even the average guy to try duplicating Ramadan and see what sort of size and strength he could slap on shortly afterwards. Whoever you pray to, stopping to pray during the day or just clearing your mind of all the nonsense is never a bad thing. Sometimes we end up obsessing over things to a degree that becomes unhealthy to us. Look at this 30 day period of fasting as a positive thing, not a long and miserable process. And when you start throwing on slabs of muscle the following month, take some before and after photos and send them in!! Paid only by petro dollers. How come muslims dont dominate the boybuilding universe then? Cuase they overeat at sunset lol.. They do. Who was runner up to Phil Heath last Olympia again? Nice article! I was happy to see you tackle the Ramadan subject. I am currently fasting this holy month, I decided that this will be my time to cut and perhaps to see my 6 pack again. It’s been 5 days now and I already feel leaner. I’m trying to maintain my muscles as much as I can, therefore I am not dropping my calories too much. Thanks for this article Mr. Doe! I discovered intermittent fasting a few months ago. Although the Ramadan diet isnt the exact same, it is similar so I can imagine the results would be the same after 4-6 weeks, which for me was a loss of 7 pounds of bodyfat (from an already lean body). My mother did it along with me and lost over 30lbs. Once i went back to eating more frequently I put on 8 pounds of quality muscle in 10ish weeks. The mental clarity and focus I have while fasted for 12-20 hours is fantastic. I find myself being nonstop busy just to take my mind off of food. One time I went 30 hours fasted which unlocked a dream-like state where I had revelations. It was a wild trip and led to some of my best writing and work performance. The first meal coming off my fast was the most delicious and satisfying meal I’ve ever eaten. Anyone looking to break plateus and shed bodyfat should give this Ramadan diet a run. Especially since you’ve got the diet and exercise laid out in full the only thing needed is discipline. I once did a 3 day fast and experienced many of the same things you did, mental clarity, increased performance, etc. The first day and a half was rough, but afterwards my body felt so alive and sharp. It was unreal. And yes, the first meal coming off the fast was indeed the best meal I’ve ever had too! Haha! Did you guys lift back then? I guess you would lose (a lot of muscle) fasting for more than 30 hours? John! That’s amazing! Thank you so much for taking the time, effort and understanding to breakdown training during Ramadan. I have been waiting to hear such good info for a long time and you really did take the proverbial ‘bull by the horns’ for a subject you didn’t know about! As a Muslim and a trainee, a double thank you sir! Please keep your kind of great info coming! on putting together a very constructive and positive article. This reflects professionalism and the willingness to go out of your way to help others. I am definitely following this plan and recommending this article to my friends and gym goers. May the peace and blessings of Allah be upon you. truly, you have spoken the truth. I noticed I was getting a substantial amount of gains during this month of Ramadan. and your explanation has just helped me figure it all out. The Muslims of Nigeria salute you !!! Great article and unexpected topic. I’ve seen some guys train for more than two hours which is plain crazy. Interestingly though they show up less and less throughout ramadan. Must feel the burnout hard, haha. A big question concerning ramadan is whether to train before breaking the fasting or after it. Personally I train right before sunset so that I have my meal right when my body needs it. These years ramadan is set during summer which makes for very short nights (here in Morocco the sunset happens around 7:45 pm), we have time just to eat, pray and rest a bit at home or with friends. Also the 3 times per week/1 hour per session is spot on and happens to be exactly what I do. Am gonna use this article to shed weight while fast at the same time . Will tell you about the results after 30 days . That was very useful; I’ve been trying to find a subject like this since forever. Thanks for the great tips and advice. 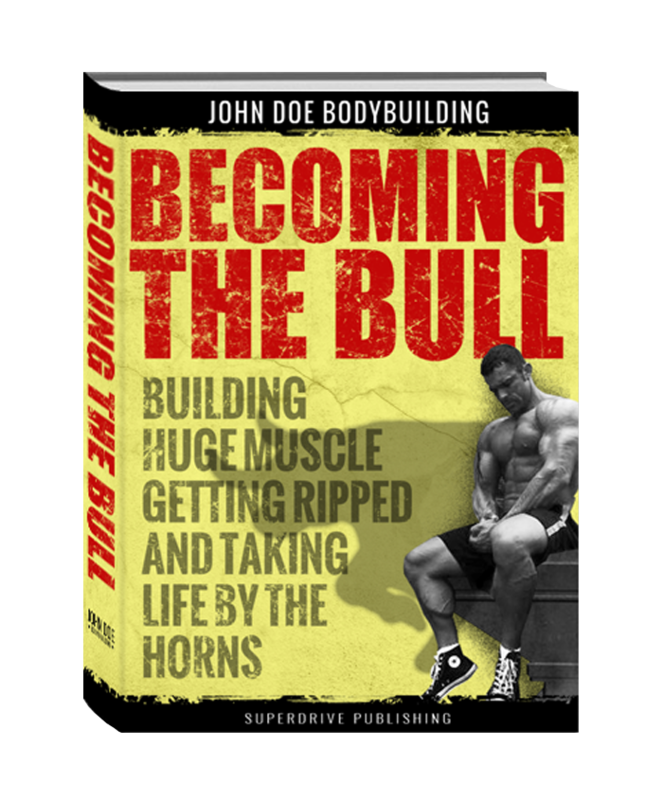 Thanks to Victor Pride for sending me and and big thanks John Doe for the information – hugely motivating!! Respect & love from Maldives.